Charlton Athletic made losses of £10.1m for the 2017-18 season, having reported profits for the first time in eight years 12 months earlier. The League One club, which posted a profit of £1.4m in 2016-17, attributed the downturn to a fall in revenue from player sales from £16.2m to £4m. Reaching the play-offs ensured ticket sales were up £0.2m to £3.4m last term. 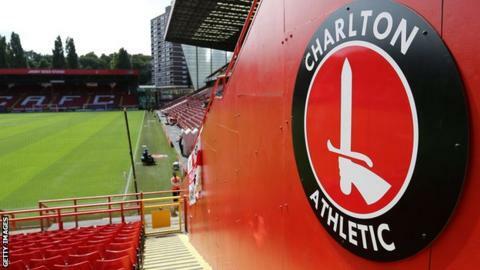 Charlton, up for sale since late 2017, also owed Belgian owner Roland Duchatelet £62m as of 30 June 2018. The losses are the second largest reported by the club since his takeover in January 2014, with the Addicks losing £13.5m in 2015-16 when they were relegated from the Championship. Staff costs, while at their lowest level since 2013, still accounted for £140 for every £100 generated by the club. Earlier this season, Charlton were involved in a dispute over bonus payments, leading Duchatelet to say that it had hindered the sale of the club. The 72-year-old, whose ownership has been subject to numerous fan protests in recent years, recently "demanded" that the English Football League acquire the club - a proposal rejected earlier this month.